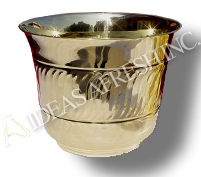 Design and lustrous finish give this Brass Planter classy appeal and timeless look. 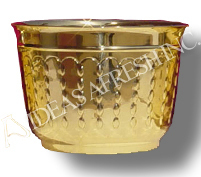 Highly functional as well as visually appealing, this brass planter dazzles the room and senses too. 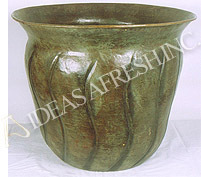 This antique finish Brass Planter will complement both, decor of a come as well as plants. 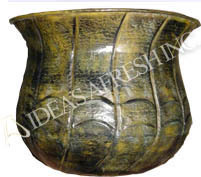 Brass planter in unique shape depicts classy craftsmanship of our well versed workers. 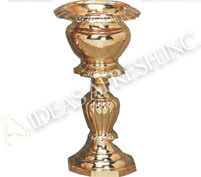 Decorative Brass Planter is intricately carved which comes with a nicely crafted long stand. 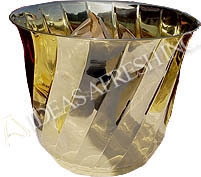 This beautiful Brass Planter combine function and style in its own unique manner. 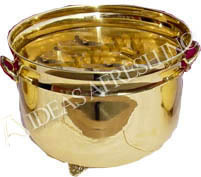 Luxurious brass Planter is made of best quality brass with fine finishes and excellent designing.